Will Bigby be the protagonist of season 2? Have you guys considered the possibility that Bigby will not be the protagonist of Season2? TTG has a thing for switching the leads, TWD S2 and S3, TFTB being examples. From what I've recalled the Fables comics actually had some other characters as point of view ones if I'm not mistaken. Whats your opinion on this? I don't think so, imagine how the fans will react. You are right about the comics, sometimes it followed the points of view of other characters but Bigby was always the #1 protagonist. 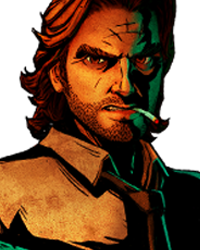 "The Wolf Among Us" title doesn't make a whole lot of sense without Bigby. 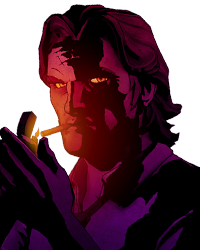 Aside from the fact that the title "The Wolf Among Us" itself is a dead giveaway that Bigby is the lead, even in the comics, while it is an ensemble piece (with points of view of several characters), Bigby's storyline/point of view has the biggest portion out of them all (followed by Snow) - hence Bigby and Snow are generally treated as the poster characters for Fables. 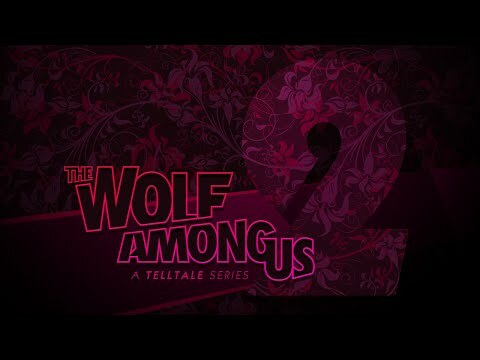 Considering that it's called The Wolf Among Us, I highly doubt we'll get a new protagonist. He’s going to be also Adam Harrington is there and the title has “wolf” in it so it’s a dead giveaway. Yes and no. 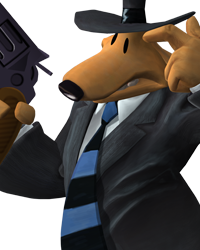 We will predominantly play as a new character named Jose, while Bigby will be advertised as a co-PC who will be hugely important to the story, but will really just be reduced to a glorified side character who is only playable in 5 minute flashbacks in 4 of the 5 episodes. 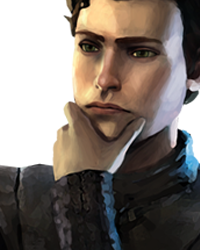 I expect Telltale to pull the "newcomers will be able to fit in just fine" crap like they did with ANF, BATMAN, AND MINECRAFT. I seriously doubt that they would make you play as someone else, even for a short amount of time. You just can't sideline a character like Bigby. The examples given were manageable because of how those games and their worlds were established. It's just too big of a risk on Telltale's part. Think of it more in terms of how Batman was done, they are both too essential to the appeal and the narrative of their games. Yes and no. 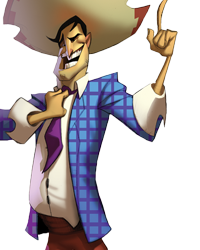 We will predominantly play as a new character named Jose, while Bigby will be advertised as a co-PC who will be hugely… more important to the story, but will really just be reduced to a glorified side character who is only playable in 5 minute flashbacks in 4 of the 5 episodes. Crooked Man will die from a car accident on the way to the farm, Colin is gonna hang himself in Bigby's apartment because he is being chased by the police for not wearing a glamour and Tweedle Dum will just...disappear. No. The main character will be Toad's son, TJ. I'm looking forward to The Toad Among Us. 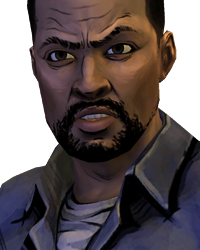 Lmao, I find it hilarious how now TellTale fans are so unsure of who they play as in their games because of ANF. ANF really messed with our heads. To answer your question, yes, he will be. 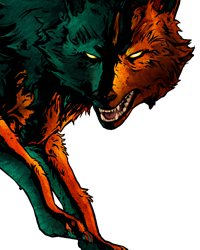 It wouldn't make much sense to call it "The Wolf Among Us" and not play as the wolf. 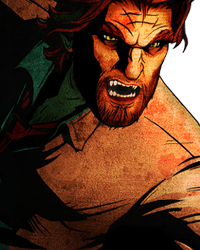 Bigby has to be the main focus in TWAU otherwise it just wouldn't work. +It would be lot less badass if it was any other way. The Fables comics focused on multiple characters and POV's. The beauty of Fables as a comic is it's diversity with it's cast. I was surprised at how Bigby and Snow are not always the focus of the story when I started reading it. Hell there are whole Volumes of Fables where Bigby doesn't even make an appearance!! 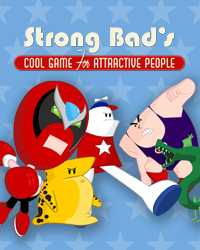 I wouldn't play it if it didn't have Bigby as the main character. A pig hanging itself... never thought I would have to imagine that. Thank you. I'm gonna take wild stab and say that this is what happened with A New Frontier? Pretty much, yeah. 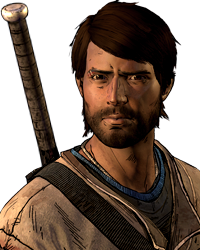 Just switch Jose with Javi and Bigby with Clem and that accurately sums up ANF. Yup. 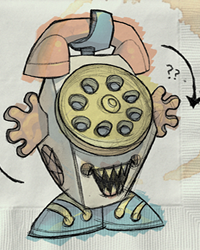 Hence, adding to confusion to some players regarding whether Bigby will be MC or not. I doubt it. Telltale stated outright in their announcement video that S2 has been forced into existence solely by the fans. Trying to appeal to "newcomers" (at least in terms of how they tried to appeal to "newcomers" with ANF) would be weird. Besides, NOT playing as Bigby seems a little daft. He pretty much checks all the necessary boxes for a video game protagonist. True. 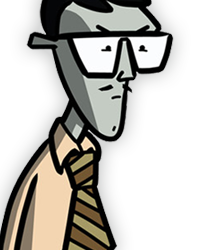 Even if they put him as an important character (but not main one) it still wouldn't be the same, we all want to be Bigby. I ain't having no ANF duplicate. I imagined the Crooked man. If we had a car crash, would his body look crooked? Batman S2 still has a lot of references to S1, and it's generally a poor marketing move to go "You need to play this old game before buying our new game." I doubt it. Telltale stated outright in their announcement video that S2 has been forced into existence solely by the fans. Trying… more to appeal to "newcomers" (at least in terms of how they tried to appeal to "newcomers" with ANF) would be weird. Besides, NOT playing as Bigby seems a little daft. He pretty much checks all the necessary boxes for a video game protagonist. So's killing off Kenny/Jane in a sloppily constructed flashback. My point is, the pendulum can swing just as far in one direction as it can in the other. ANF is an example of what happens when game developers go overboard trying to wipe the slate clean. Hiro is right. Most costumers dislike being handled like Just Buyers. Nowadays you need to please the costumer, and you can't do that while you make them pay for way more than they intended to. What on earth are you talking about? At no point did I say it should be mandatory for new customers to pick up an earlier installment. Both you and Hiro are collaborating on a massive straw man argument. I'm criticizing the "nope, forget that, we're moving on" mentality which contributed to ANF's downgrade in quality. Hands up for Bloody Mary as the new protagonist! Just kidding. 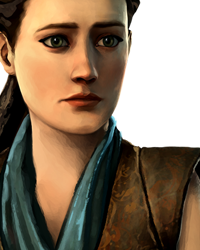 I do want her in Season 2 though as a love interest for Bigby Wolf. Maybe his body would be straightened out in the wreckage? I feel pretty sure he will be the main protagonist, but I do hope we get more time with the other characters. There are a lot that we still haven't met. I am mystified as to why people ship Bigby and Bloody Mary. Please explain this to me. Hands up for Bloody Mary as the new protagonist! Just kidding. 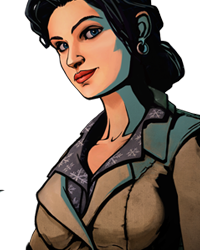 I do want her in Season 2 though as a love interest for Bigby Wolf. I think it's because both of them break the badass scale. Honestly I quite ship them too, but I think it would be a bad influence for Bigby. I think BM breaks the insanity scale more than the badass one. Well, good luck to you all. I seriously doubt that ship is going to sail (I hope not), but TEHO.